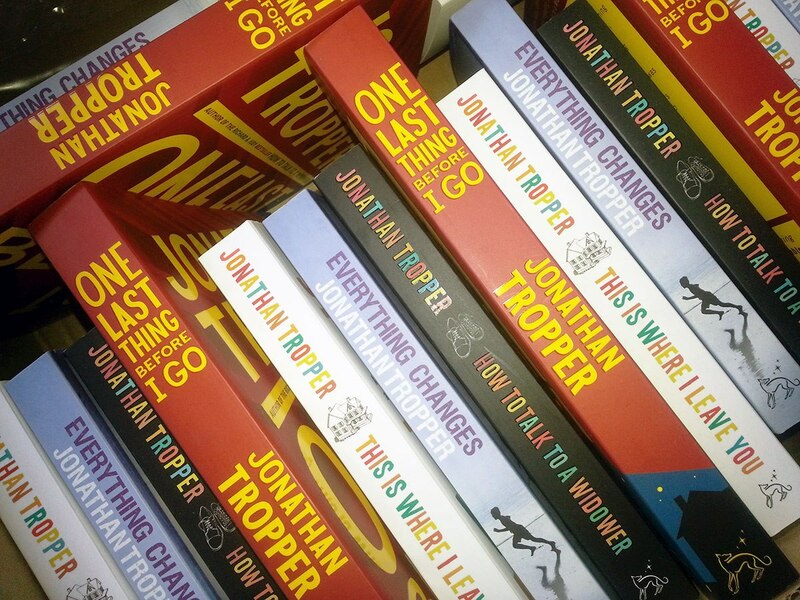 Competition: Win a set of 4 Jonathan Tropper novels! Inspired by Norm (often misguided and outrageous) attempts at redemption, Zack boldly attempts to make some changes of his own… and the results are instantly calamitous. Soon fists are flying, his love life is a shambles, and his once carefully structured existence is spinning hopelessly out of control… Everything Changes. Russ is furious with Doug for not adopting him, and has fallen in with a bad crowd. Claire, Doug’s irrepressible, pregnant twin sister, has left her husband and, uninvited, moved in with Doug. And their sister Debbie is determined to have the perfect wedding, at any cost. Judd Foxman has the life he always thought he’d have. Good job, loving wife and a perfect house in the suburbs. That is, until he arrives home to find his wife in bed with his boss. ‘This Is Where I Leave You’ is about to be made into a movie with Abigail Spencer, Jason Bateman, Timothy Olyphant, & Tina Fey. How to win a set of Jonathan Tropper Novels! Competition is now closed and the winners have been tweeted or emailed! The competition closes on 7th June 2013 and is open to UK residents aged 16 or over. There will be 5 winners picked from entries on geektown.co.uk and Twitter. I would love to win this , have tweeted . My partner is an avid reader, I would love to win this for him. I would definately like to win. Love trying out new authors and reading material. Would definately like to win. would love to win, am watching banshee and think its a great program, although a little dark and very violent!! i have tweeted and would love to win! I want to win as it is a great prize. i`d like to win as there`s a few readers in my family so im sure everyone would enjoy reading these 😉 tweeted as @geezawem also!